In the construction process of a MARINAL traditional reinforced concrete swimming pool, the galvanized steel panels of the structure are assembled to obtain a continuous formwork between the walls and the bottom of the swimming pool. 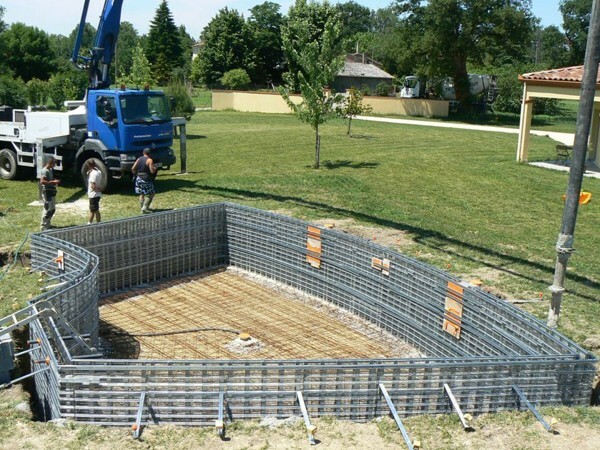 This one-piece steel reinforcement makes it possible to pour the concrete in one-go. The concrete has a one-step and homogeneous setting. 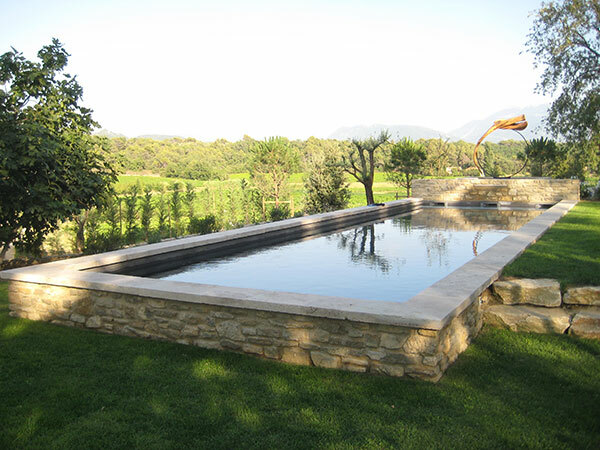 A concrete swimming pool cast in one piece will be watertight and resistant. The concrete density is unvarying, seamless, without connection. Thus, MARINAL traditional one-piece reinforced concrete swimming pools do not have any point of failure, and therefore no risk to lose their watertight integrity. This monoblock concrete construction technique is the more reliable in terms of solidity and lifespan for your swimming pool. The monoblock construction technique makes it possible to work all shapes of swimming pools. The steel structure is adjustable to obtain the personalized shape you wish. The steel reinforcement can be strapped to obtain different shapes, without any loss of efficiency of the concrete pouring. MARINAL proposes swimming pools with traditional shapes, design free-form and contemporary swimming pools, lap pools, overflow swimming pools, skymirror swimming pools or spa areas. 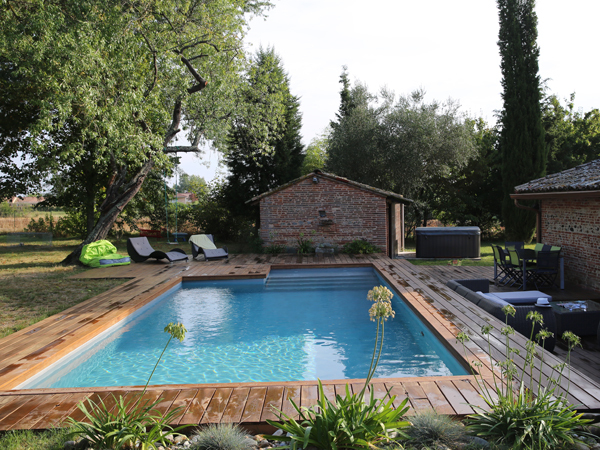 For your project of a traditional swimming pool, please contact your MARINAL specialist via our on-line contact form. Cast concrete (this technique is the one used by MARINAL) or sprayed concrete technique. The concrete is poured in one-go, in all the one-piece framework of the swimming pool. The entire structure of the swimming pool is 100% cast in one piece and perfectly watertight. The bottom of the pool is made of reinforced concrete and the walls are made of assembled and reinforced concrete units. Non-watertight construction. Requires a coating with a liner or a reinforced membrane. 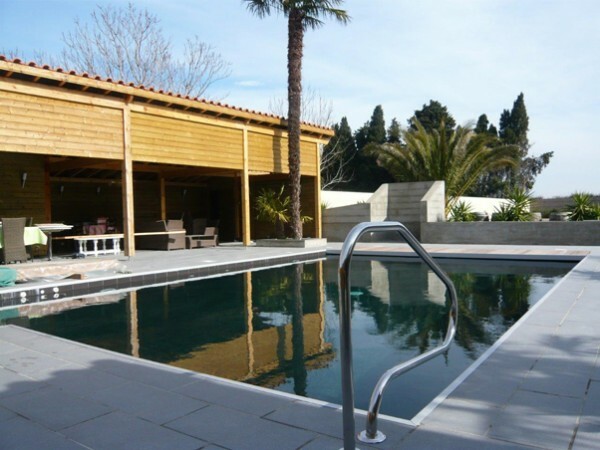 The bottom of the pool is made of reinforced concrete and the walls are built with CMUs – hollow breeze blocks or reinforced full breeze blocks. Non-watertight construction. Requires a coating with a liner or a reinforced membrane and laminated polyester. The bottom of the swimming pool is made of concrete, mortar or cement and the walls are made of modular units (steel, PVC, concrete, resin…) leaning on concrete studs. Non-watertight construction. Requires a coating with a liner or a reinforced membrane.